The front cover of the Vaisnava Spirit, May/June 1986. 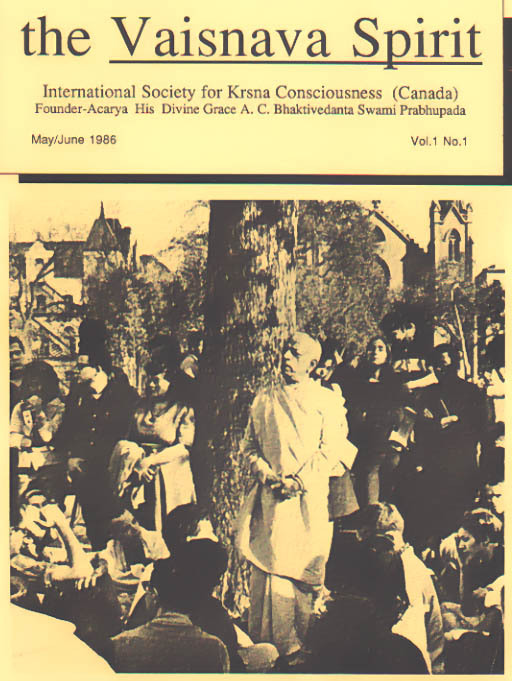 The magazine was published to help promote open communication among devotees and friends in Canada. Another publication, entitled The Vaisnava Journal, was published simultaneously with the same purpose and was distributed internationally to a wider audience. Both publications tried to demonstrate that Vaisnava writers and readers can enjoy respectful communication with one another while expressing different points of view on a variety of topics.